Recently while highlighting Christmas decorations around the township we showed Fairview Park, in the northwest corner of the intersection of Route 20 (Main Street) and Route 98 (Avonia Road). Two comments came from it. 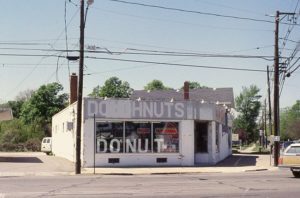 One was a person who remembered the donut shop there fondly. 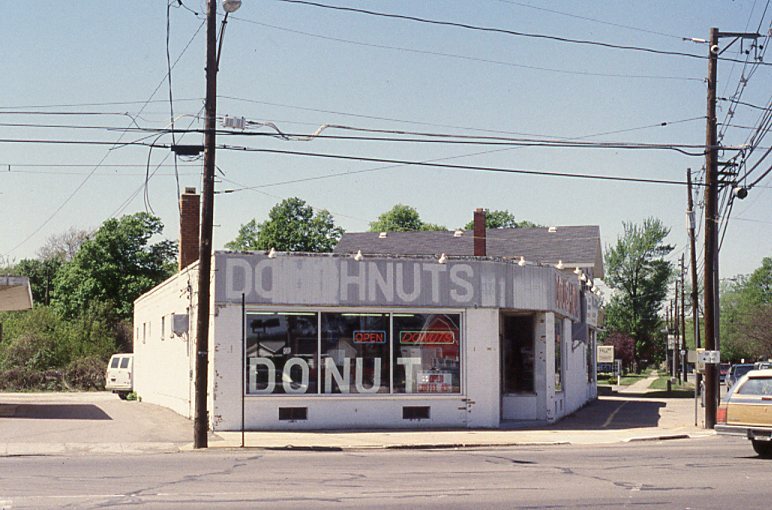 Another wondered what had been there before the donut shop. Our Home Page photo across the top of the page shows a glimpse of what was there and the street beyond. At some point in the mid 1850s Rudolph Pettit had the building constructed for a business. His home was the brick building two doors north, now housing the Wagner-Giblin Insurance Company. 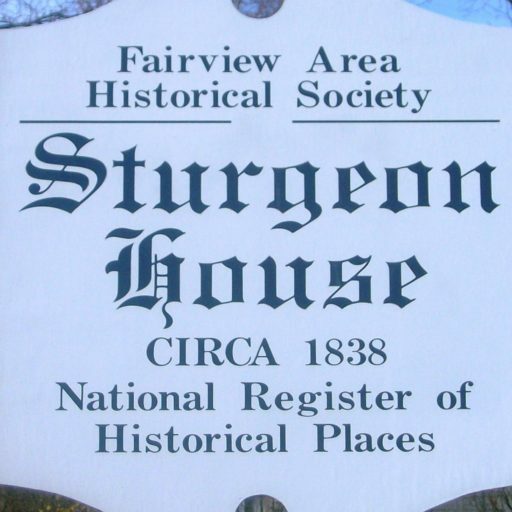 A general store occupied the first floor and the second floor was possibly used for meetings. 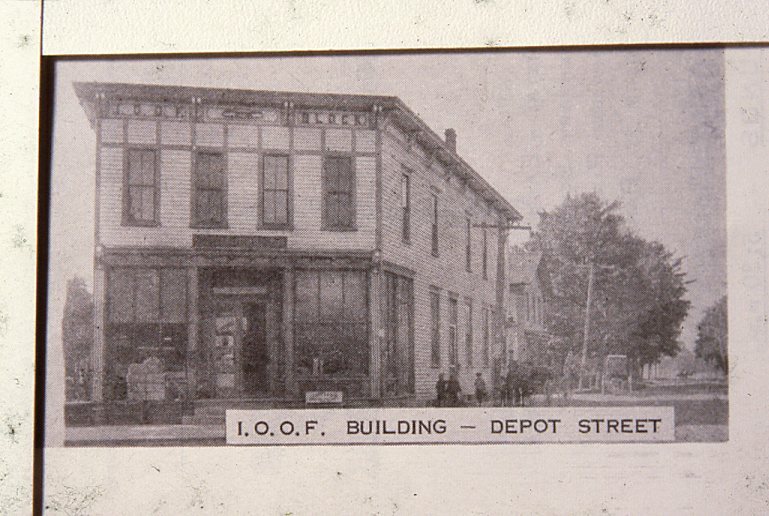 The building was purchased about the turn of the century (1900) by the Lakeside Chapter of the Independent Order of Odd Fellows (I.O.O.F.). They leased the first floor to Olin Hauck who continued to operate the general store and they held meetings on the second floor. Furthermore, the second floor was available for other organizations. Even school events occupied the space from time to time. The building was meant to be rectangular, but followed the street which flared out a little along West Main Street. 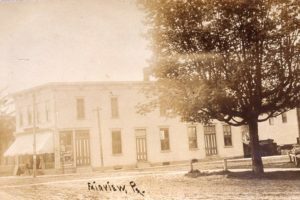 On the long side along Avonia Road, there was room for another business on the first floor and early in 1944 the Fairview Postmaster, Ferdinand Niebauer, remodeled the space and moved the post office into it. In those days the postmaster had to furnish the site. 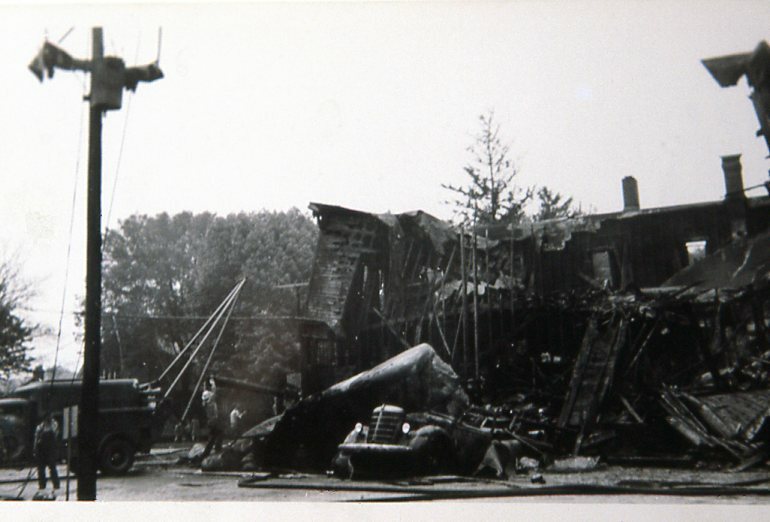 But then, a terrible accident happened on the night of Tuesday, May 23, 1944, when two trucks collided in the intersection. One was carrying drums of oil and turpentine. The driver of the other truck had a full tank of gas, which contributed even more to the combustible elements. There were explosions and fires all night. It was his truck that was pushed into the building and he was trapped inside, unable to escape. It took several fire companies from around the county to finally get control of the fire. The men worked valiantly and were able to save the surrounding buildings, but the landmark building that had been on that corner for almost a century was gone. After World War II building materials were available again and the Odd Fellows built a brick structure just west and on the south side of the road (now Pilewski Plumbing). Donald Hauck and Harold and Ann Downey together had a brick one-story building constructed on the corner site for a new general store. It operated until 1975 when they sold the building and the Armes Doughnut Shop soon opened for business there. 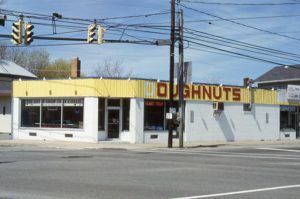 Another donut and pizza shop followed, plus a dry cleaner and tailoring shop along the north side of the building on Avonia Road. By the time it was torn down to make way for a wider intersection, the one-story brick building was empty. Also meeting the challenge the fire created was Ferd Niebaurer. 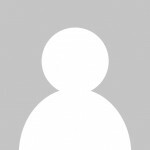 That first morning (Wednesday, May 24), he received the Fairview mail and sorted it on his dining room table. For awhile the Fairview Post Office was operating out of his front room. So, yes. 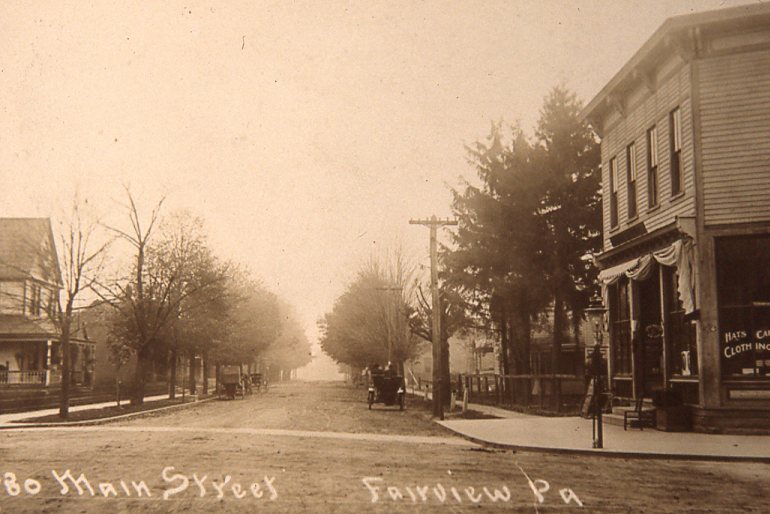 A good many Fairview people remember the doughnut shops and some even remember the Odd Fellows building. Oh, yes. In the home page photo, the building that peeks out on the lower left was once the home of Frank Temple, grandfather or Shirley Temple. 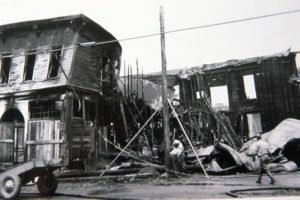 That home was destroyed by fire in July 1916. I remember shopping at Downey’s market!